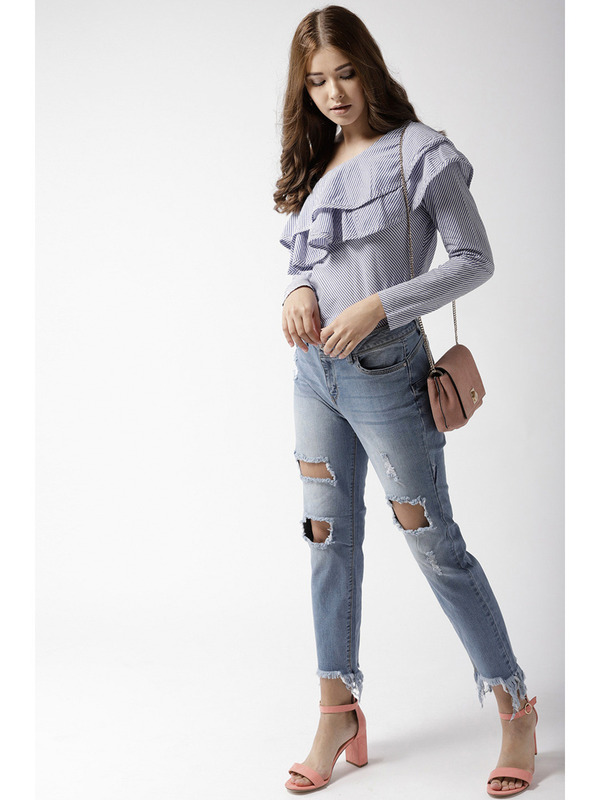 Accessorize with: Complete this chic casual look with a pair of washed denims and a pair of white sneakers! Blue and White Stripe Top. 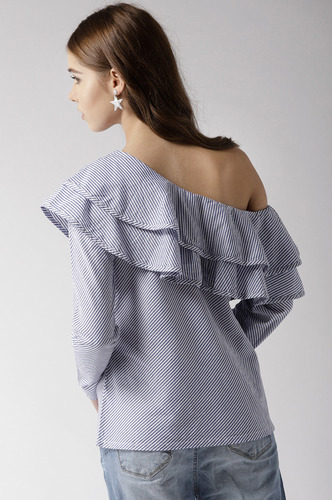 Full Sleeves with one shoulder open cut out. 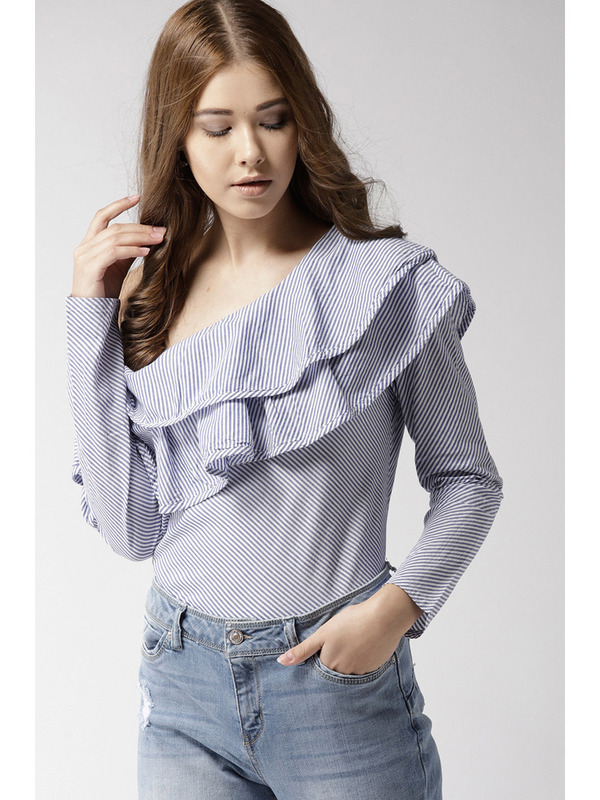 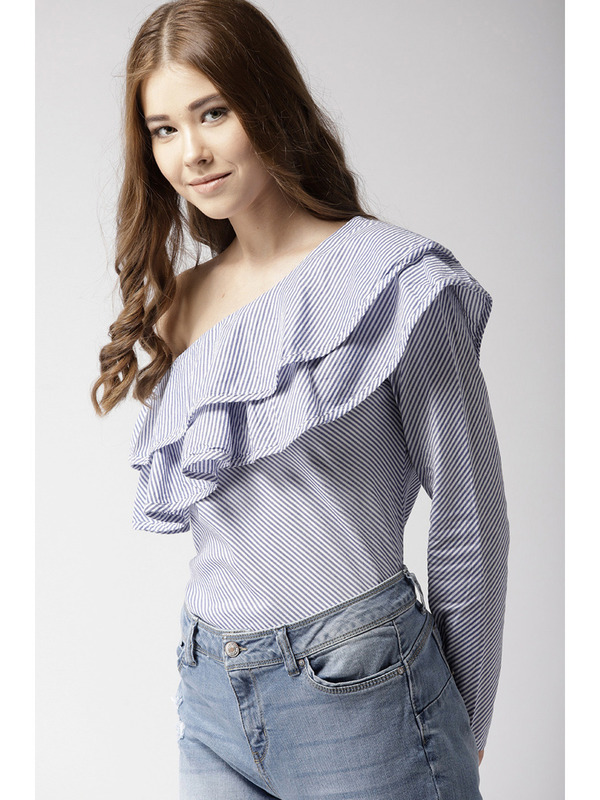 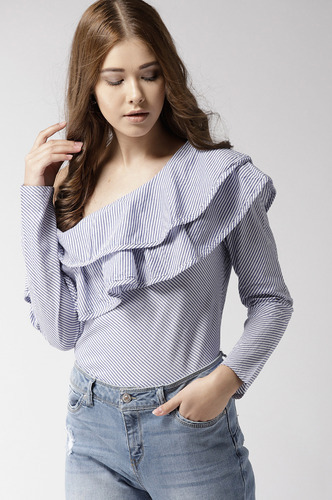 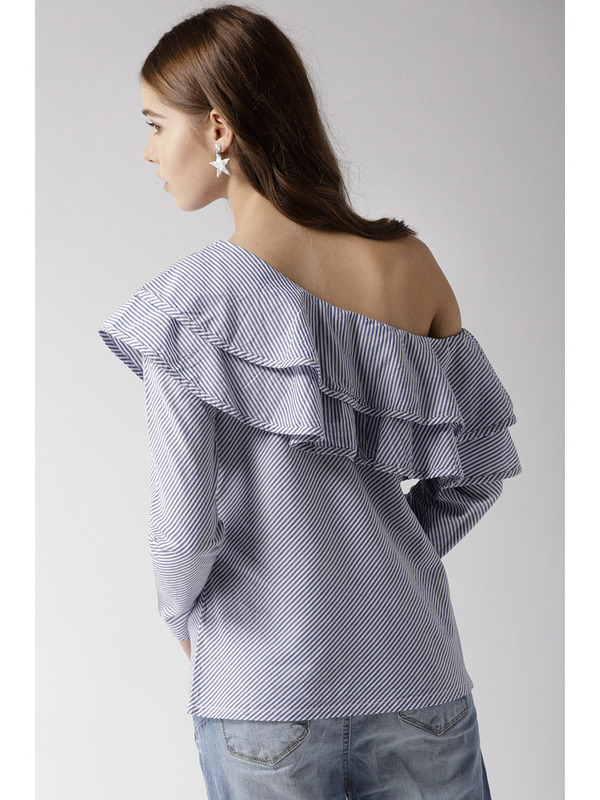 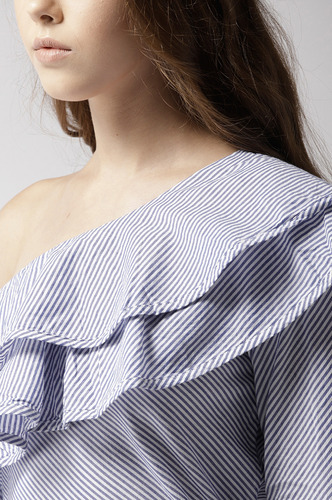 Double Layered Ruffle on the neck line.